The moment I tore open the MA350’s packaging, an upside down smile cracked across my clock. I may have even groaned something like, “you’ve got to be kidding!”. This was not the cardboard of 79$ earphone. And, the unassuming aluminium earphone said 40$ more than it ever said 80$. I spent the next ten minutes slapping myself silly, however, because after popping the MA350 into my ears, my impressions changed. Ahh, that’s why they can sell this phone in such a cheap box. Such midrange clarity actually had me convinced the 350 wasn’t a 79$ earphone at all. And it’s not. It’s 39$. You’ve got to be kidding me. The MA350 is simple. It is inexpensive. It sports a large13mm driver but its body isn’t tubby. Still, my small-eared wife found these phones to be a tight fit. By the ruler, my ears are small, too. But my concha has got room and the 350 fits beautifully. The only trouble I have is with the included ear tips which don’t seal that well for bent-canal folk. If you’re straight, these phones will fit well. I get on with the ortofon eQ5/7 tips. It’s a religious thing. The first thing I do after unsuccessfully trying to fit earphones from HiSound to FitEar is pop on my well-worn ortofon tips. Voila! If you get on with the stock tips, god bless you. They are stiff and have a ridge that I find uncomfortable. It’s all personal. The good news is that if the tips don’t fit, the 350’s asking price leaves lots of room for third party options. One thing that can’t be forgiven at any price is the amount of microphonic noise that comes through the MA350’s cable. It edges out most bad cables I’ve used. Looping the cable over the ear ameliorates the worst of it, but the earphone wasn’t designed to be worn over the ear. Its strain reliefs are too long. Short-eared people may find the stress reliefs bumping their glasses, or swivelling away from their ears. Even at 39$, shame oh shamo. RHA’s box (which I immediately pitched) was a typical cheap affair. The pouch is a quick little cinch sack and the earphones are pretty normal aluminium gumdrops. No space fo faux. What you see is exactly what you get. It is refreshing. Many products in the 30-80$ price range try to look upscale. All of them fail horribly. Chromy plastic is the worst thing a poly chemical resin can do. In musical terms, these are The Smiths; you know they are from the 80’s but you’ll be damned if you can suss the 80’s in them. Long live the queen. Both the earphone-side and cable-side stress reliefs are decent. The body is tough, and the sound port is made of aluminium, not plastic. I can’t comment on how well the cable handles more than 5kg of stress as I’ve only ever hung a D800 and a lens from it. Obviously it is fairly well-knotted in the earphone. The only other good point to the textile cable covering is that it keeps the rather loose neck cinch in place. Textile is also a pretty good shield against the particularly tough life a 39$ earphone faces. 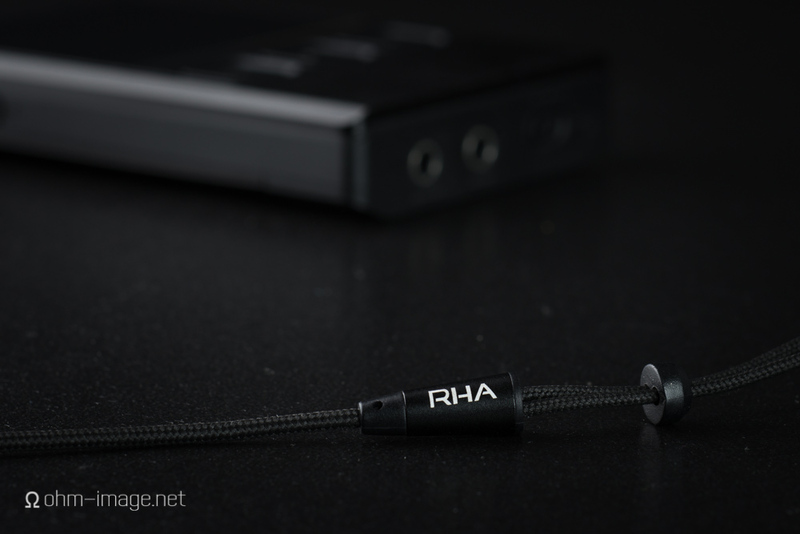 RHA might think of deepening the channels sound tube flange. Currently, with even the slightest amount of pressure, ear tips slip way down the shaft. They can also come off rather easier than they do from fat-flanged earphones. My first impressions were whack, dude, whack. Totally. But I’m hellishly harsh in first impressions. But very like (and completely unlike) the current BMW M7, the MHA350 has grown on me. It shows far better polish and less glue than almost any of its rivals. Machining is good, and there are very few to no factory-impregnated artefacts printed on the aluminium back or sound tube. Honestly, I’ve used >200$ earphones with worse finish than this. This simple design lends itself to a simple satisfaction. As I said above, it was only minutes before my upside down smile turned into an upside down frown. Holy frack! I was impressed when I thought the MA350 cost 79$. In fact, if I didn’t have problems getting the flanges to latch onto good ear tips and the cable wasn’t so hellishly microphonic, I would be more than happy to wear these phones rather than anything else at any price. I own and I own some very very good earphones. That’s not to say that they are perfect. No, but even when I thought they cost 79$, I was well happy. For a headphone company that came out of nowhere, holy cow. Yes, holy cow. And for that holy cow to birth such a simple, economical beauty graced by a crispness absent in pretty much everything below 100$..
That’s not to say that the MA350 is bright. It isn’t. There’s no clearly audible treble peak anywhere, nor is there overly much pressure in the upper mids. What hits the ear is mostly flat, with good shimmer and fast attack. Decay holds on a little bit longer than some good balanced armature earphones, or small-driver dynamics. The aluminium case does wonders to keep clean lines clean. Forward edges to anything with strings vibrate with clarity and energy. The crazy reality is that the MA350 is as clear and crisp as many earphones that cross the 100$ barrier; it is as clear as some that cross the 200$ barrier. You won’t be able to wax lyrical about the MA350’s space. Or its Zeiss-like 3D effect. Left to right separation is good and thanks to crispness across the spectrum, instruments never gum up. Sound stage is flat and wide, but not deep. Think IMAX without the 3D glasses. The MA350 renders a flat, neutral sound that remains crisp and highly resolving across the board. But bass is gloriously deep and detailed without trending boomy or bloomy. It expands and sizzles perfectly till it hits the midrange, at which point, the bulk of your music simply takes over. No bleed, no ill effects. This bass hints at but isn’t fully able to dredge up the opening details of Markuz Schulz’ Mainstage. It would need a further 5-6dB of low-end sound pressure to thresh out such minutiae. amount of low end power to do that. Instead, control, extension, and harmony with the mids is what keeps the 350. Speed is good, well able to keep up with trance and thrash, but delicate enough to push out singular details in a crowd. And because the MA350 excels at crisping things up, you will want to push crowded, detailed music through it. Funnily enough, my newly acquired Astrotech AX60 (a 400$ earphone), which sounds quite good, would sound much better if it had the subtle, sweet bass image of this 39$ earphone. 13mm makes a difference. They are crisp and extended, but compared to bass, a few couple decibels quieter. They maintain good edges for cymbals and the speed necessary to keep shimmering edges from blurring too much. They do everything they need to do without drawing attention to themselves and keeping all ears on the mids and bass. In the headphone world, their analogue is the Sennheiser HD600, a truly reference headphone, but one that never over-energetically grabs for your attentions. This balance is underpinned by speed. Emotional warmth, too is similar to the HD600. There’s not too much of it, and there certainly is no paucity of laughter and tears, either. While the MA350’s crisp detail will move your eardrums, it won’t move your viscera or tickle your tear ducts. I have no hesitations recommending these phones for any bright music you have. But it doesn’t stop there; bass, treble, mids: every frequency the MA350 dishes out simply ruins the image of shoddy sub-40$ earphones. For good. As a single driver 16Ω earphone with a sensitivity of 103dB, the MA350 almost hits the sweet spot. It is sensitive enough to render hiss from noisy players, but not sensitive enough to hatefully amplify that hiss. Sound quality and balance is good straight from low volumes. Most if not all contemporary players that you can get from a Best Buy will output great resolution into the MA350’s 16Ω resistance. In 95% of cases, you will not need an amp. With them in, the outside is somewhat masked. I would guess that you lose around 16,2 (error margin of +/- 0,0023) decibels from the outside with the MA350s in place- good enough to quiet a quiet train. If you are on the Tsukuba Express, or a noisy airplane, you will have to bump up your volume another ten or so decibels. Paired with some common sense, comfortable listening volumes can safely and easily be achieved. They are not, however, ideal for a portable earphone. I was prepared to forgive the cable and the accessory kit and box, and a personal vendetta against cheap-lookingness because the MA350 sounds so damn good. I’m far beyond that now. If a 39$ earphone can perform this well, then much of my portable audiophile journey has been spent in the wilderness. Had the 350 been around in 2004 or 2002, I probably would never have upgraded. The last dozen or so percentage points you get from strapping your earnings to a 400$ investment don’t quite add up. 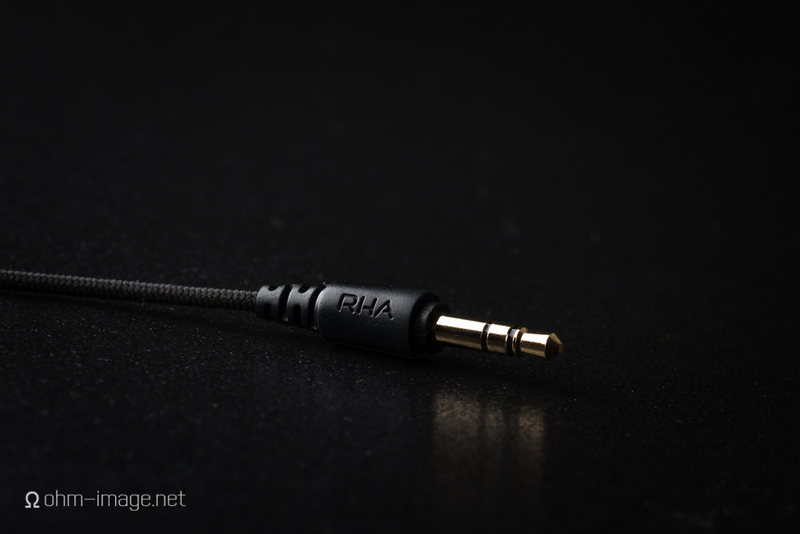 RHA would be smart to get rid of the cloth cable. It simply isn’t good for portable use. Fit of course, is personal. And so is my love affair with this cheapy. Hat’s off, RHA. NOTE: I lost the tote bag and ear pieces very soon after using the MA350 for the first time. As you can tell, I didn't think them worthy of my time. Apologies to RHA and to all the people scratching their heads at my trashing of the accessories, especially without evidence. Trust me, better accessory kits exist.